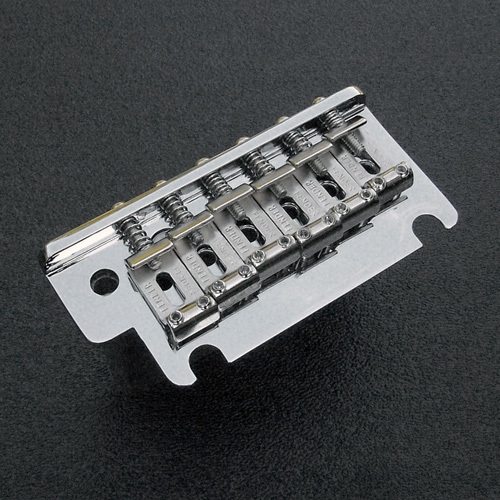 Genuine Fender® 2008 American Standard Stratocaster 2-Point Synchronized Tremolo Bridge Assembly Upgrade. This is the same bridge that is installed on 2008 and newer American Standard Strat's. Includes vintage style bent steel "FENDER" stamped chrome saddles, chrome two-point pivot top plate and a special copper-infused high mass steel tremolo block for increased resonance and sustain..
Saddle string spacing width of 2-1/16". Accepts the10-32 threaded tremolo arm (sold separately).